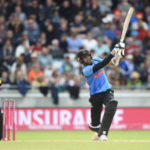 Big-hitting Sussex proved too much for Somerset as they marched into the Vitality Blast final against Worcestershire. 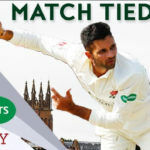 Keshav Maharaj marked a sensational debut for Lancashire by taking seven wickets to bowl Somerset out for 77 in their second innings. Former Proteas all-rounder Roelof van der Merwe has signed to play for English county side Somerset for two more years. 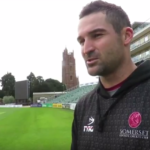 Dean Elgar’s 91 couldn’t prevent Somerset from losing a high-scoring contest to Nottinghamshire in the quarter-final of the Royal London One Day Cup. 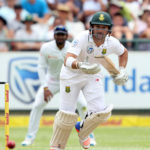 Dean Elgar hopes to use his time at Somerset to gain some familiarity with the English conditions ahead of the England Test series. Imran Tahir smashed through the Somerset line-up, taking seven wickets to give Notts a fighting chance in their County Championship match. 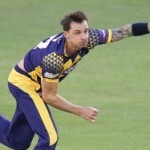 Dale Steyn had a rough welcome to the NatWest T20 Blast as Glamorgan were beaten by seven wickets by Essex. 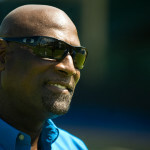 On this day in 1985 West Indian batsman Sir Vivian Richards scored 322 for Somerset in a single day’s play against Warwickshire. 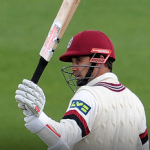 Johann Myburgh weighed in with an unbeaten 57 to put Somerset in control on day one of their English County match against Durham on Sunday.